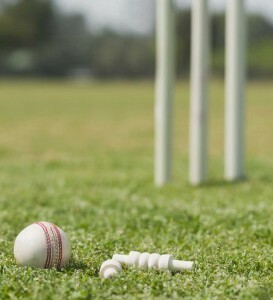 The English Cricket Board is facing a claim of unfair dismissal and age discrimination following a decision to force two respected umpires into retirement. Peter Willey and George Sharp have accrued 45 years of umpire experience between them, including officiating at high profile international matches. Both parties are First Class umpires, and the ECB have raised no concerns about either their competency or their eyesight, for which anyone undertaking this high profile role is required to undergo annual tests. Government legislation introduced in 2011 abolished the default retirement age. The rules meant that employers are unable to force male employees to stop work at 65 unless they can objectively justify the decision. Chris Kelly, Umpires Manager for the ECB, said at the tribunal, “it was perfectly justified in ending the men’s umpiring careers at the age of 65 while they are still relatively at the top of their game”. Mr Kelly also told the tribunal that another factor in restricting the age of umpires, is to enable the ECB to offer the vacant positions to retired players in their thirties and forties who are looking to pursue a career as an umpire. Representatives of Mr Willey and Mr Sharp argue that in addition to being competent in their roles, there are other ways in which vacancies can be created. The tribunal is now considering the case and an outcome is expected by the end of February. Premier Legal are a team of legal professionals who offer advice on all aspects of employment law, including age discrimination and unlawful dismissal. If you are an employer who would like advice on age related issues, please get in touch on 0207 408 9427 or 0115 9886211.